In December 2009, when the opening of the first part of the export highway Turkmenistan-China was opened, official Ashgabat also joyfully reported about the earliest achievement of the volume of deliveries to China in the amount of 85 billion cubic meters. At the end of 2018, about 36 billion cubic meters of Turkmen gas was exported to China. Ashgabat then could not predict that the existing lines of the export pipeline (A, B and C), with a throughput of 55 billion cubic meters, would also be occupied by competitors — producers of blue fuel of Uzbekistan and Kazakhstan. China has a wise ENERGY POLICY: to diversify import deliveries and create competition even in one pipeline. China has been negotiating with Russia for pipeline gas supplies for almost 10 years. The contract was signed only in 2014 (Gazprom ordered to start the first deliveries in December 2019): already knowing that the Russian gas has sufficient serious competitors in the market — Central Asian gas and LNG. Such a policy works brilliantly: prices remain stable, and volumes grow from year to year. 5 years ago, Turkmenistan exported more than 10 billion cubic meters of gas per year to Russia, and about 8 billion cubic meters of gas was supplied to Iran. For two years, Turkmenistan has been supplying gas only to China. Official Ashgabat has problems with both Iran and Russia. And he lost these markets. 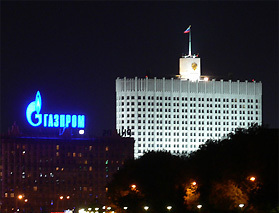 Now Gazprom is again showing interest in purchasing small volumes of Turkmen gas. According to the initial press statements by the head of Gazprom, Alexey Miller, in the second half of 2019 the import of Turkmen gas will be resumed. According to Caspian Barrel, from sources in the market, Gazprom wants to buy Turkmen gas at a very low price — no more than $ 110 per 1000 cubic meters.